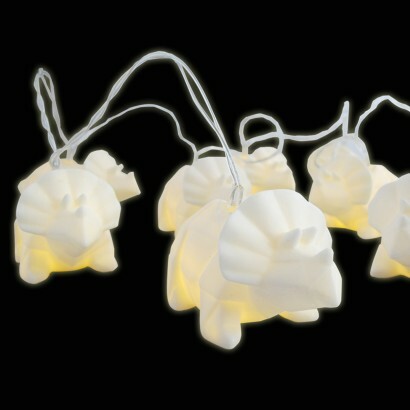 Lit by white LEDs, these origami styled triceratops origami string lights are anything but fearsome! 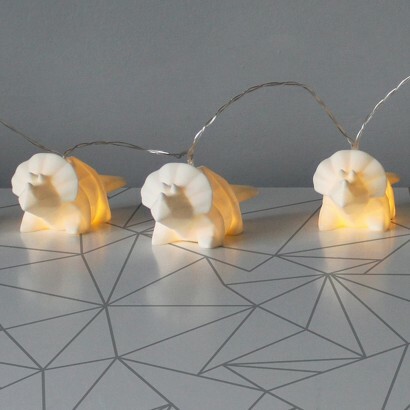 Neutral white dinosaurs will compliment most colour schemes in your child's room shining soft white light that details the origami detail of each dinosaur as they shine. 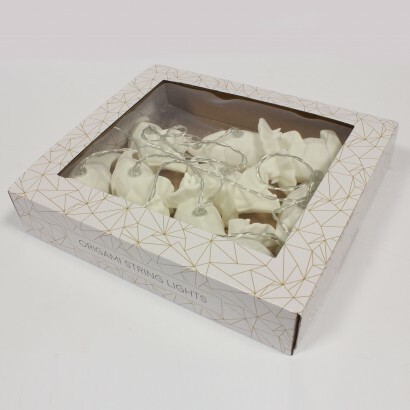 Battery operated, these decorative string lights are ideal for bedtime, casting a warm, reassuring glow and look fantastic looped around bed frames and more turning your child's favourite room feature into a magical lighting feature!